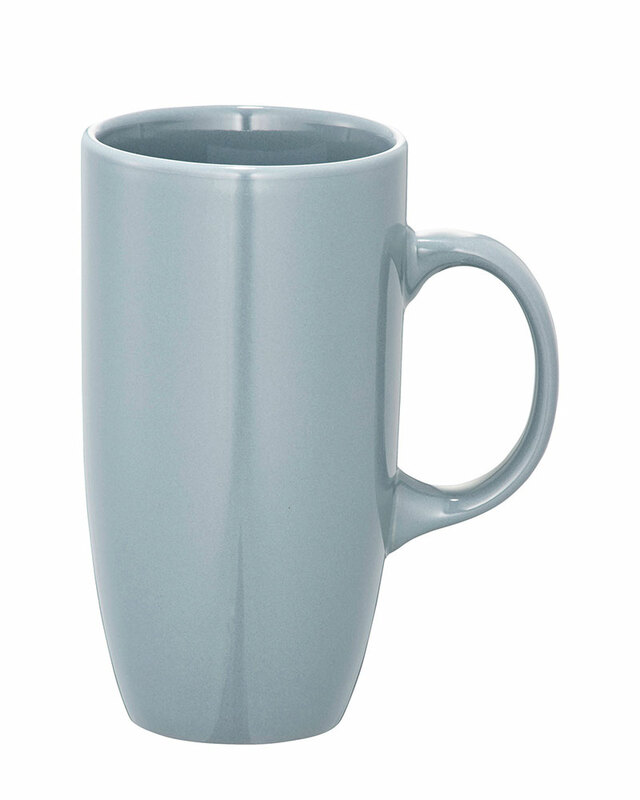 Tall mug with high gloss solid color finish. Hand wash only. Follow any included care guidelines. "Construimos sobre la Roca Upon a Rock construction"